Anyone attempting to digest Lupe Ramos-Montigny’s entire resume would be well-advised to reserve the better part of an afternoon, and be sure to allow for snacks and hydration. In her nearly 75 years, she’s done as much as anyone – and perhaps more than any Latina – to advance educational opportunities for children in Grand Rapids and beyond. Armed with a passion to change things that need to be, people who know her agree that you either hop on her wagon for social justice and equity or get the heck out of the way. And don’t expect a lot of breathless rhetoric or political correctness. She was born on Dec. 12, a date that doubles as the feast day of Our Lady of Guadalupe, who according to the Catholic Church appeared to St. Juan Diego in 1531, sparking the conversion of some 8 million Mexicans to Catholicism over the ensuing decade. Lupe is named after that venerated image of the Blessed Virgin Mary, a moniker she carries proudly. Ramos, meanwhile, is her given maiden name, and Montigny what she retains from her marriage to ex-husband Remi, of French descent. “My parents had very strong family values,” she says. “Respect was of the utmost importance. And we learned that hard work was part of life. They also understood that education was the door to opportunity. “We all became something,” she says of her brothers and sisters, and she rattles off roles as pastor, doctor, businessman, attorney, Realtor, nurse and more. Even against the agrarian hardships, Ramos-Montigny fell in love with the topography, climate and culture of Michigan as the family picked cherries on Traverse County’s Old Mission Peninsula, then harvested beets in Caseville and tomatoes in a third locale. “Oh the bay,” she says of the sparkling waters just steps away from the cherries they’d bucket. “And those hills.” It created indelible images in her mind, and convinced her at a young age to leave Texas in the rear-view mirror in favor of The Mitten. She got her chance while earning a bachelor of science degree from Pan American University in Edinburg, Texas, signing up to spend her senior year teaching migrant farm workers in Lake Odessa, a half-hour east of Grand Rapids. In the classroom, she was an innovator and a stickler, raising a family of two children while earning a master’s degree at Grand Valley State University, with an emphasis in bilingual education. Her voice rises in remembering that “My students didn’t come into the classroom and ever act crazy. First thing, they had to line up. Then I’d check to make sure they had their paper and pencil, their lesson. Every day. Every hour. And if they didn’t have it, they’d better get it. Ramos-Montigny retired from the classroom in 2008, but continued to beat drums for others, and in a dozen different ways. 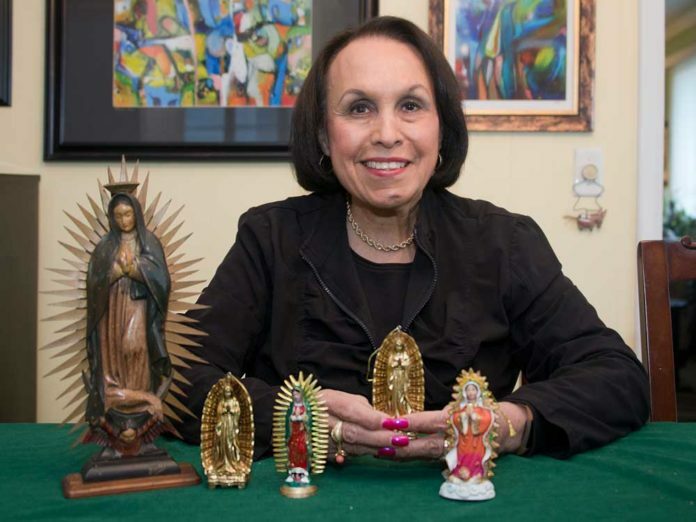 She’d already heavily invested her time and efforts into the Hispanic community. 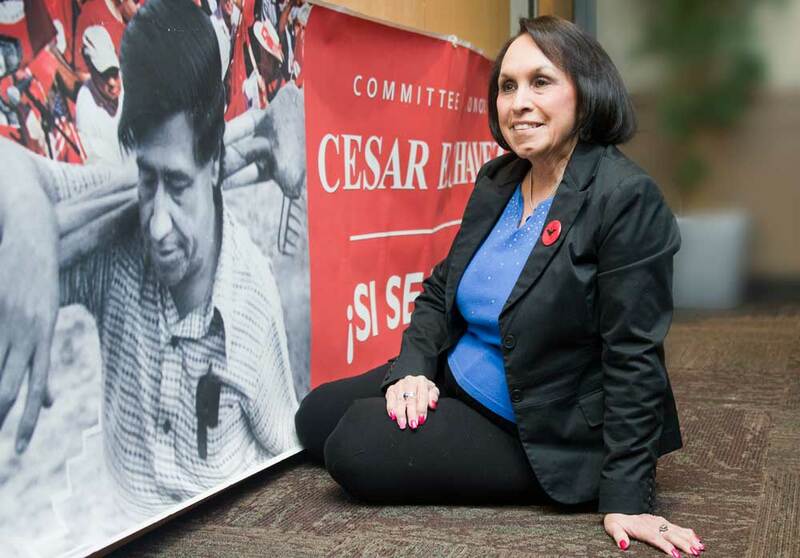 For 17 years, she’s chaired the Committee to Honor Cesar E. Chavez that galvanizes an entire community each spring and serves as a springboard for scholarships. Three years ago, the Lupe Ramos-Montigny “Si Se Puede” (Yes We Can) Legacy Endowed Scholarship was established at GVSU. 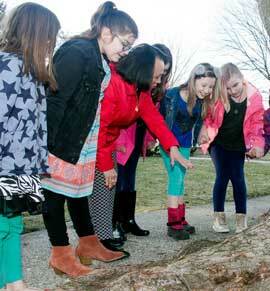 Since its inception, seven scholarships of $3,000 each have been awarded. On the political front, she’s advanced the cause of the local Democratic party with gusto. She was elected to chair the Kent County Democratic Party, its first Latina. She’s also the first Latina to become the second vice-chair of the Michigan Democratic Party, and has attended numerous Democratic national conventions. Since retiring especially, she’s received a dozen impressive awards for community action, including the Helen Claytor Civil Rights Award, Dave and Carol Van Andel Leadership Award, an honorary doctorate from Ferris State University and more. She also has served on behalf of innumerable committees, caucuses, foundations and organizations. 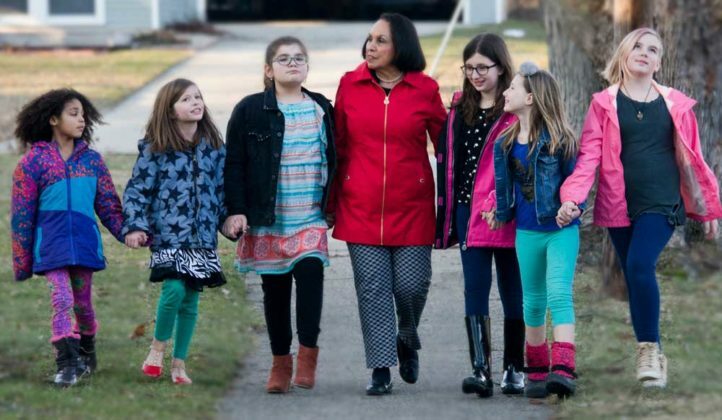 In November 2012, she garnered nearly 2 million votes in earning a spot on the Michigan State Board of Education, with a term that extends through 2020. People who have worked alongside Ramos-Montigny – and even those who have opposed her politically – agree it’s no surprise she’s ascended to lofty positions of trust. Indeed, it seems nothing can stand as an obstacle. “There’s no book that says you have to like Ramos-Montigny,” she says with a laugh. “I just believe in doing good work, and hoping others join in. Tom, I can vividly see myself in this article! You hit a home run! Many articles have been written but none come this close to describing me in such a real way! Dianne, the photography captured the essence of the moment community, kids, education,family, Lupe! Thank you, guys! 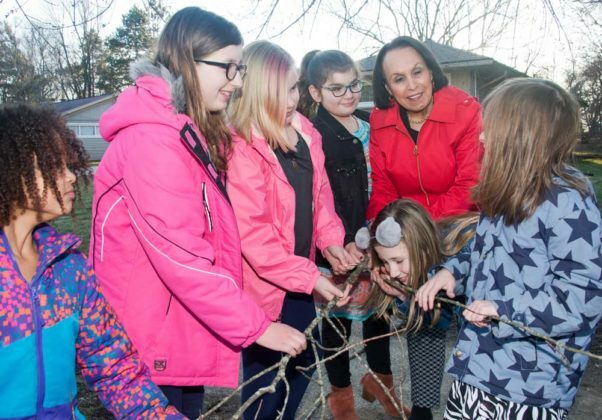 A great write-up of a gifted colleague- Lupe’s persistence, vision, and work ethic make her an indomitable advocate for all kids. Si se puede! Beautiful article. We need more teachers with your mindset on being tough and prepared. Preparation is key to being a success! Great words of wisdom. Saludos Lupe! nada de lo que ha hecho por nuestra comunidad pasara inadvertido. Su legado esta en la vida de los individuos en los se invirtio y en el ejemplo que encarna dia a dia con su servicio. Un abrazo a la distancia. We so appreciate all you have done for children, for the schools, for our community and our state, Lupe. Thanks for giving SNN the opportunity to share your contributions with our readers. Cheers! That is our Lupe, to a T!